Happy Friday friends! This week went by SO fast, the little ladies and I were outside as much as possible and it felt SO good. Being able to head outside once Emmy and Isla are up from their naps makes that hard 4:00- 7:00 time frame go by so much faster, plus that fresh air makes the little ladies fall asleep the second their heads hit their pillows! The girls are on Spring Break next week and we have some really fun things planned to make their week special. We ended up booking one night away in Lake Geneva, one of our very favorite places and can't wait for the family time away. 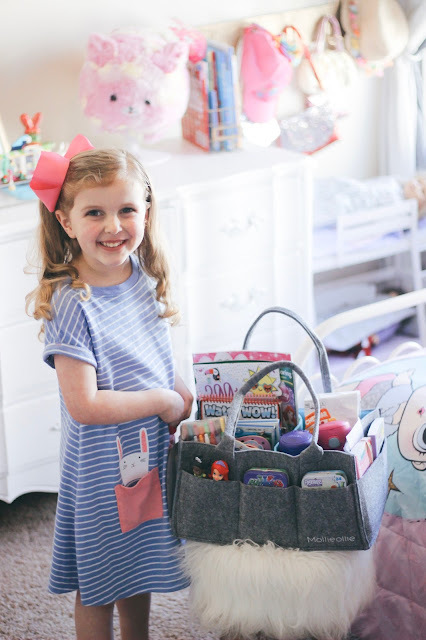 The girls and I will also be spending part of our week baking, crafting and decorating a little bit for Easter, which we always look forward to! 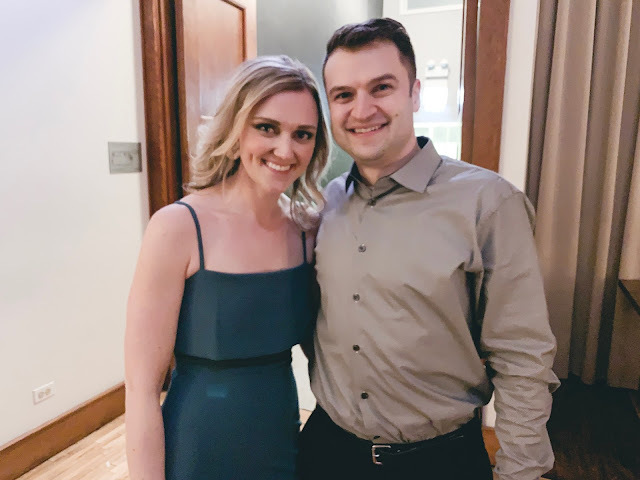 Speaking of Spring Break, my very first "favorite" this week includes this week's blog recap and my post on our road trip essentials! Road Trip Essentials: Spring Break is around the corner, come see our road trip essentials! 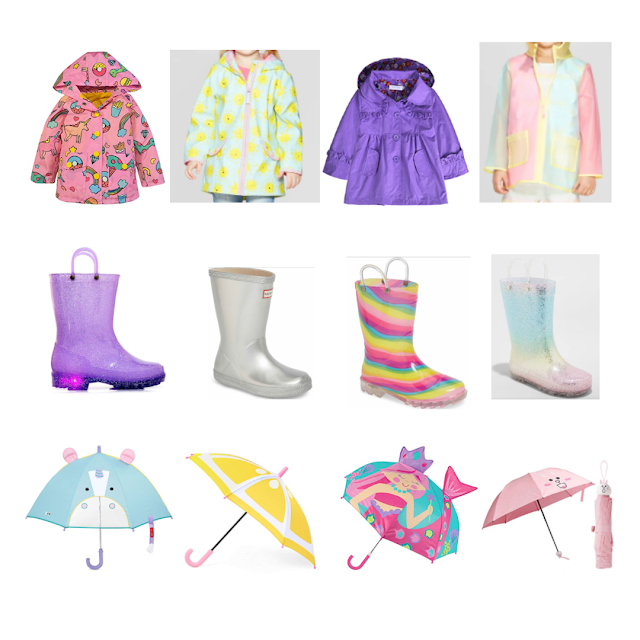 Rain Day Looks for Girls (and Mama too): I have rounded up some of the CUTEST rain coats, boots and umbrellas for toddlers, girls and Mama's too, come take a peek! Wonderful Wednesday Link- Up : Come link-up with us next week! we had the best time in the city! And if you remember my post from last week (Mom Style: Wedding Guest Dress edt. ), I ended up wearing the green dress, which was also perfect because it was St. Patrick's Day weekend! My little book worm, we finished the entire Ivy & Bean series and are about to start the Mercy Watson series next, I love reading chapter books with my big girl! Can you tell my little wild woman was happy to be outside!? The sunshine felt SO nice! This is the first time Isla "played" outside, last summer she wasn't crawling or walking yet in the Spring/Summer, we can't wait to see her run and play with her sisters this year! I shared this throw back on my Instagram this week, look at that sweet little baby Avery! I was pregnant with Emerson in these photos, it's hard to remember a time when there were only THREE of us! 3: A Few of our Favorite Costco Finds- Our family loves a good trip to Costco, we aren't sure why, but the girls LOVE Costco! It might be the fact that we get the girls dinner there after we shop, I mean you can't beat $2 slices of pizza, topped off with soft serve for dessert! Here are some of our Costco favorites, are you a Costco shopper? Tell me what I HAVE to grab next visit! Their chips and salsa are the BEST, the salsa has the perfect "kick" to it. This organic pasta is delicious, it's the only pasta we buy and Kirkland's sauce is a favorite with the little ladies too! Hands down, the BEST prices for organic string cheese and Spindrift. I'm not sure if they have the street taco kit at all Costcos, but it is the BEST! Scott and I always grab one to have for dinner that night and the lime cilantro sauce is delicious! 4: Mom Style- Ok, so "mom jeans," Scott isn't the biggest fan, ha! But, these jeans are SO comfy and they were only $22 from Target, so even if the trend comes and goes, I'll definitely get my $22 worth out of them. My whole outfit is actually from Target, I could wear this pink cardigan everyday, it's the perfect cardigan for Spring! 5: Weekend Plans- We have a somewhat busy weekend ahead, but it's packed with a ton of fun, a date night with our neighborhood friends, a first birthday party, brunch with girlfriends and hopefully some time to organizing this HOT mess house of ours! It may be a little premature, but I would love to swap out my girl's winter clothes for their spring clothes, I'm just SO ready to pack away those big winter jackets... but it may be a few weeks too soon. That wraps up another Friday Favorites, next week I will FINALLY be sharing all the details of Isla's first birthday party, along with some tips on how to have a "Pinterest" worthy birthday party without breaking the bank. Have a great weekend with your family, I hope the sun is shining wherever you are! Just found your blog, you have such a sweet family! I too have 3 girls, but mine are 18,15 & 12. Ugh. It goes so fast!!! I love your entire Target outfit -- that shirt screams spring, and it makes me so happy! You looked gorgeous at the wedding too, the green dress was perfect. :) Have a great week! You're SO sweet, I loved that green dress SO much, bonus points that it was only $50!